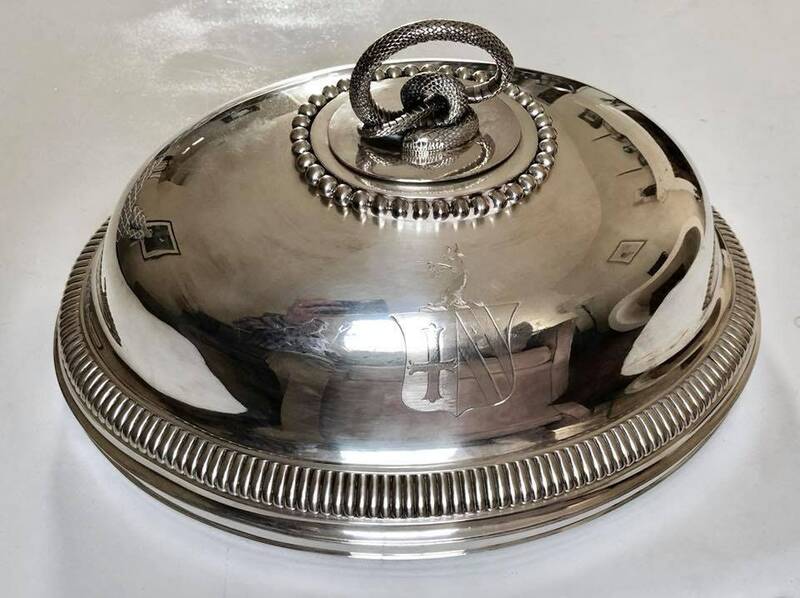 Early and scarce sterling silver meat dish produced by heralded Paul Storr of London. 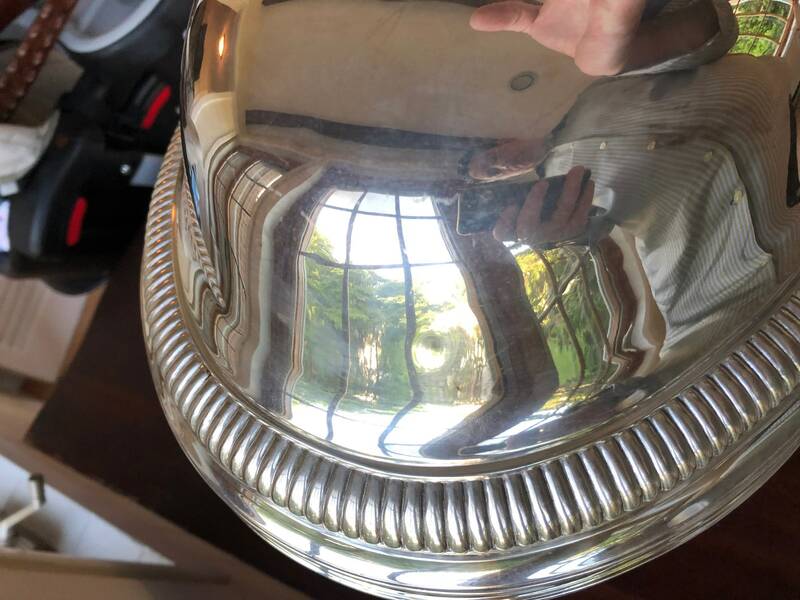 The dish cover is oval, measuring 7.5" tall and x 15.25" long and 11.25" deep. 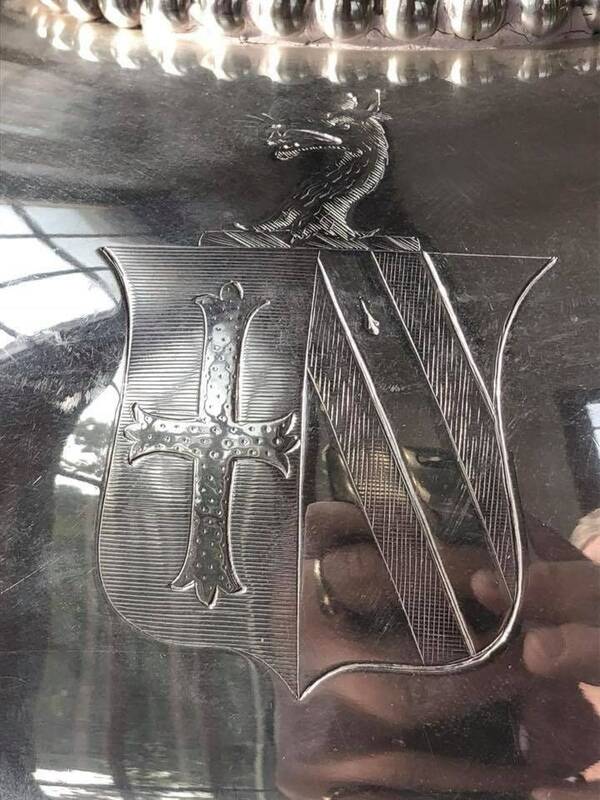 This item has a beautiful crest in the form of a shield surmounted by a wolf erased. The cover is adorned with a fluted section above the very base and a beaded rim around the heavily reinforced finial. As you would expect, the gauge is heavy and the piece is very well constructed. 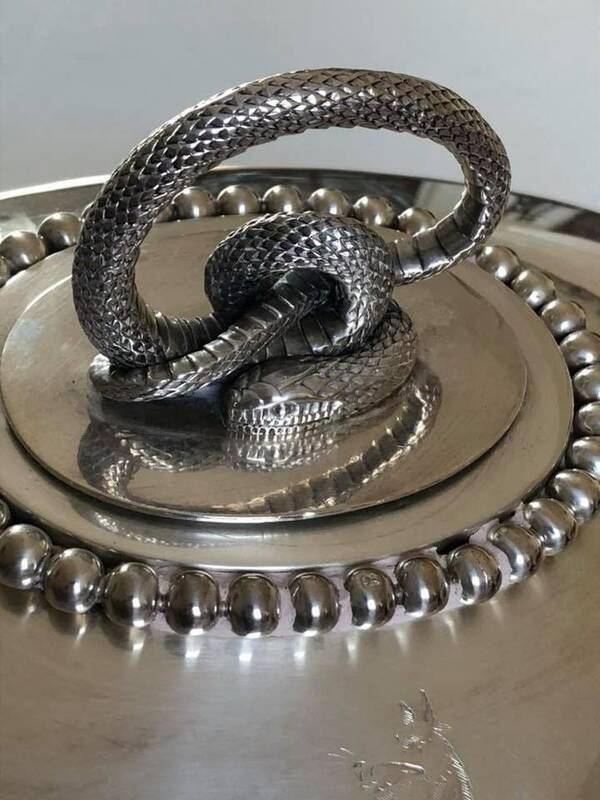 The handle is made from a classic Storr pattern involving a cast writhing serpent. 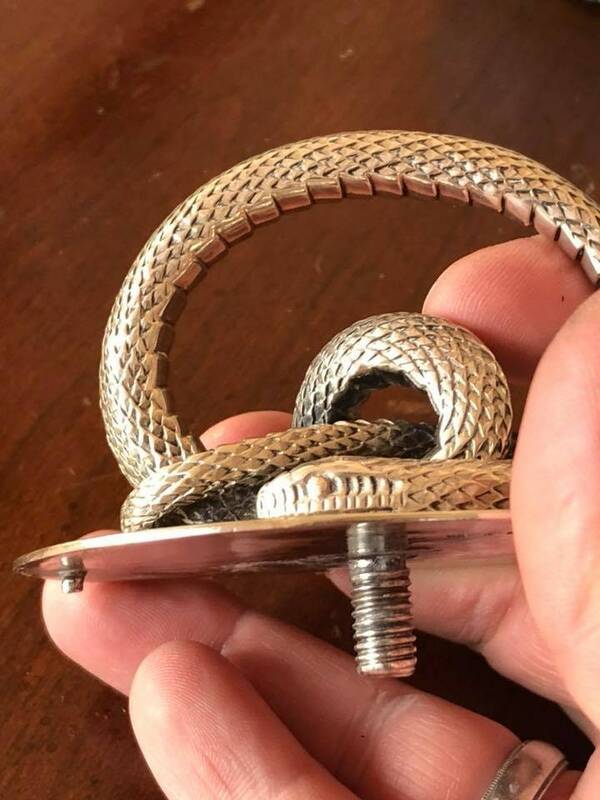 This is affixed by means of two reinforced silver nuts. 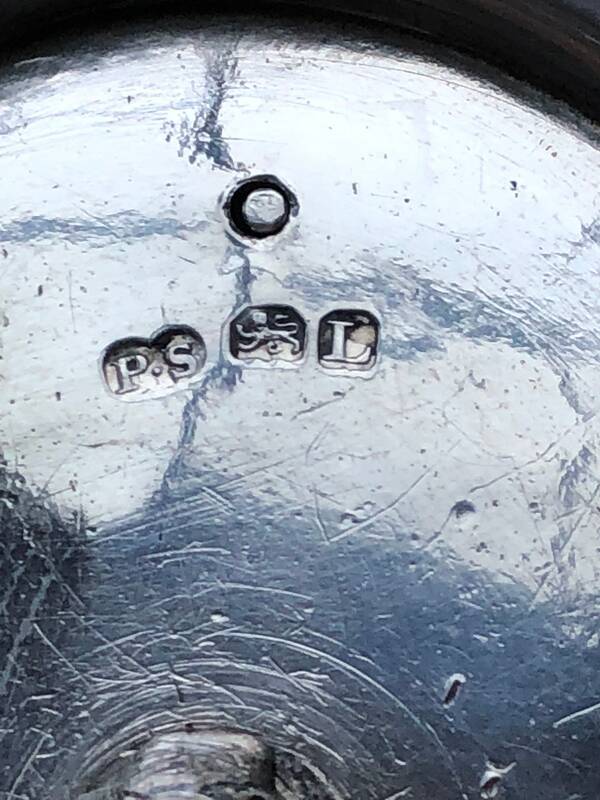 Very clearly hallmarked for Paul Storr, Sterling, London, 1806, and George III. In very good antique condition with wear and patina commensurate with age and usage. 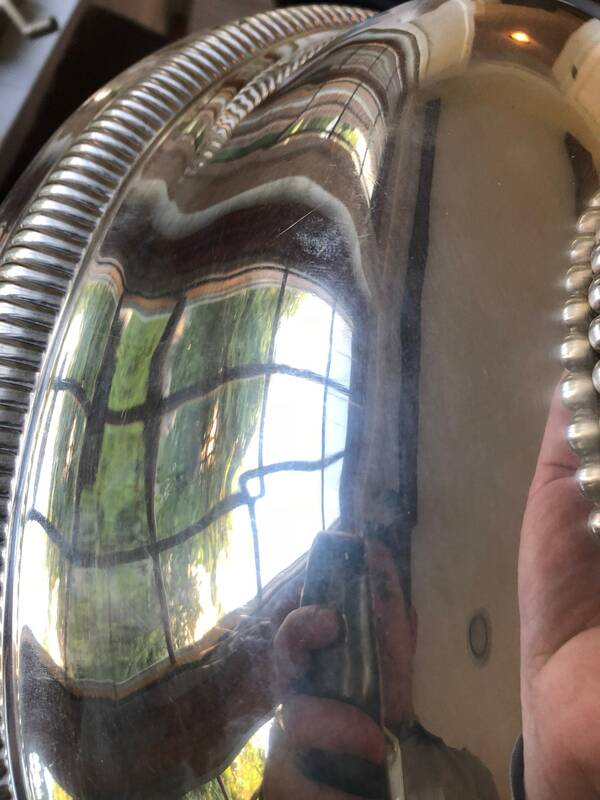 There is surface scratching that could be professionally conserved by my silversmith or yours (conservation and polish left to the buyer). A couple very small and subtle dints (shown). 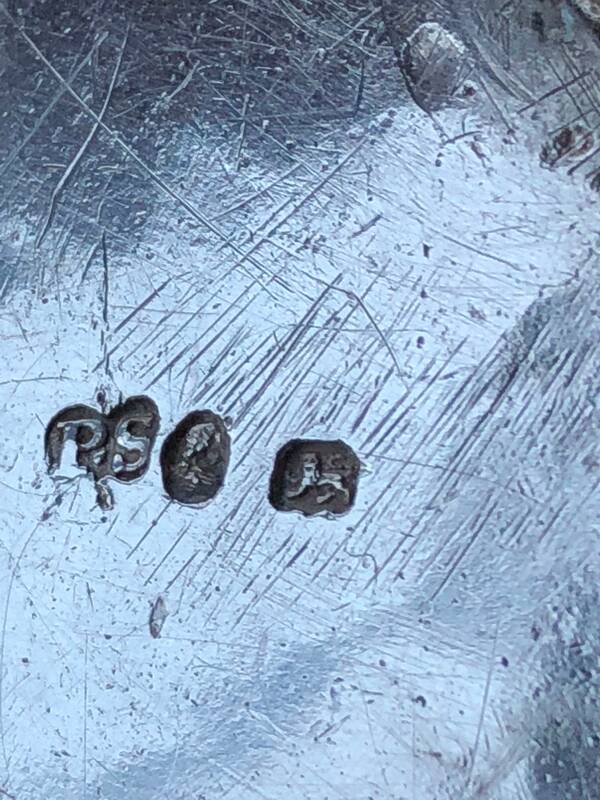 Total weight approximately 60.75 ozt (1,890 grams).